ONE SIZE – from UK 6 to 14 – USA 2 to 10 – because of the wrap style it fits a huge range of sizes. TOTAL WIDTH of the wrap is INCHES 48 / CM 122. MAX LENGTH INCHES 14.5 / CM 36. 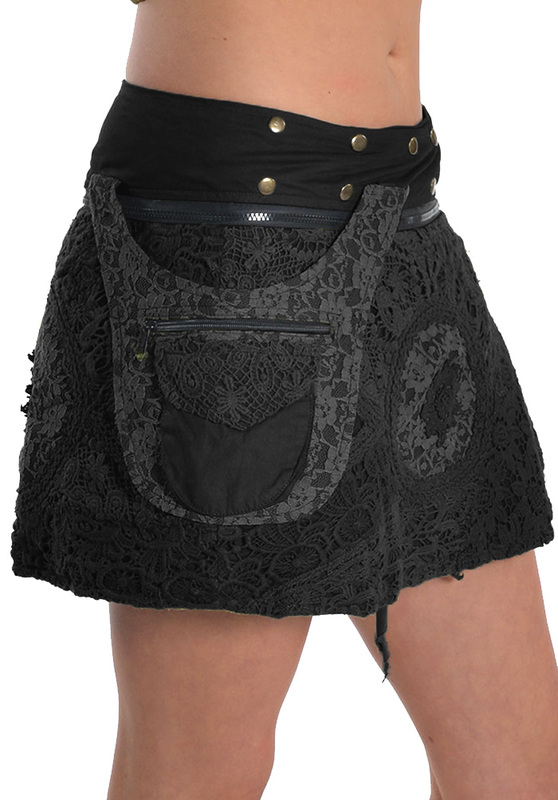 Textured wrap around skirt with pop buttons and side pockets. Pockets panel with two separate pockets, the one with zip measures INCHES 5.5 x 5.2 / CM 14 x 13.